It has been awhile since the media in general and the Daily Nation in particular provided any reporting that showed any of them were living up to their role as the people’s watch over government wrongdoing but I must admit the analysis below by the Daily Nation has surprised me in both its thoroughness and more importantly, it’s objectivity in at least exposing the incompetency of IEBC which when coupled with evidence to be supplied by Cord in its petition challenging the presidential tally will complete the picture and leave no doubt in anyone’s mind that IEBC was, indeed, compromised besides being incompetent and therefore the presidential results it announced are bogus and must be nullified. Questions are being raised about the management of Kenya’s just-concluded General Election by the Independent Electoral and Boundaries Commission following the failure of the Sh8 billion results tallying system, which resulted in Uhuru Kenyatta’s victory in the presidential vote and a planned court petition by his main rival, Raila Odinga. As the far-reaching implications of the commission’s failure becomes clear, concern is mounting over the management of its information technology system, poor preparation of election officers in the run-up to the polls and whether, in its present form, it can be trusted to conduct future elections. The IEBC has been running a media campaign asking Kenyans to trust them and accept the presidential results that they announced on March 9. But today, the Saturday Nation says the IEBC must first answer some difficult questions for the things that went wrong. We have interviewed experts and done some preliminary data analysis and, starting with the Biometric Voter Registration system, here are some critical questions for the IEBC. 1 Does the IEBC believe it met its assurances to Kenyans that it had put in place mechanisms for preventing people from voting twice? The Biometric Voter Registration system together with the Electronic Results Transmission system used by the IEBC in 2013 were meant to eliminate the voting and tallying problems that led to the 2008 violence. Biometric systems are electronic systems that identify people using unique biological characteristics — finger-prints, eyes or even DNA. Biometric systems provide almost 100 per cent proof of the identity. In Kenya, IEBC decided to use finger prints. Out of these recommendations, a decision to implement a biometric voter identification system was made, its intent being that no person should able to vote more than once, a reason for the improbably high voter turn outs in 2007. But the process of acquiring and using the BVR kit was very badly handled. Trouble begun with procurement. Though the procurement began in February, 2011, with an “invitation for bids” little progress had been made by September 2012, more than one and half years later, and very close to the date for the general elections. In the end, the acquisition of the BVR kit, which was eventually taken over by the government, cost Sh8 billion. But for the pressure of last minute purchase, the kit should have cost Sh3.2 billion. The procurement was so shambolic some of the bidders challenged it before the Procurement Board, which concluded that the IEBC was in breach of procurement laws. It even failed to abide by the terms it had set. Indeed, the board said that if it were not for the public interest, it would have stopped the procurement. The problems did not end with procurement. Once acquired, the BVR kit was never deployed as it should, no realistic testing was ever done, and even the two demonstrations that were done failed. There was, therefore, no basis for assuming that the kit would work under high-pressure voting conditions, itself an argument for thinking of effective alternatives. When fully functional, a BVR kit does three things. One, it provides a fool-proof register of voters. Two, it automatically subtracts from the main national register voters who have voted and thus provides a running tally of total votes cast. Three, it centrally integrates the register so that multiple voting becomes physically impossible. None of these features worked on voting day. Let’s see what the failures of each of these elements meant for the 2013 elections. First, while the BVR is supposed to be a check against multiple voting, the system did not have a subtractive value. This option subtracts the name of a person who has voted and updates the central server on the total votes cast. If this option had been built into the software and consistently applied, it would have progressively updated the list of voters around the country, and at the close of the voting, it would have been possible to immediately ascertain the exact voter turnout. A BVR system typically has a national data-base that is also backed up virtually. The data-base should be remotely accessible from the polling stations. In this case it was not. Among the many unanswered puzzles is whether the 33,000 hand-held devices that IEBC had procured for biometric authentication were ever deployed. To guarantee security, IEBC would also have needed a virtual private network, very much like the one Safaricom had put in place for the transmission of results. That network had more than enough capacity to do both Biometric Voter Authentication as well as transmission of results. Having failed to do these things, the IEBC resorted to completely downloading the segments of the voter-register to the laptops that were eventually sent to polling stations. But this raises even more questions: what exactly did the IEBC download to the laptops? Given lack of a link to the central voter database, polling stations would not have been able to subtract those who had voted from the central database. And merely crossing out the name of the voter from the physical register at the polling station guaranteed nothing if more copies of the same register existed. 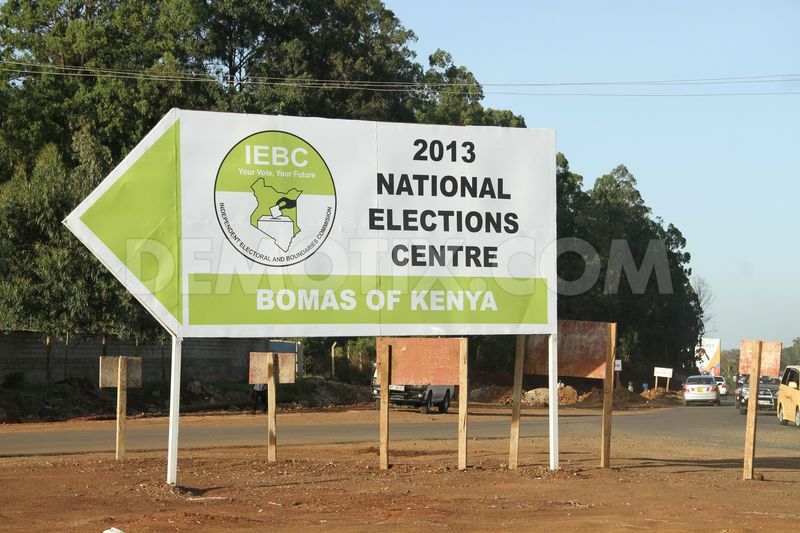 So in what ways did IEBC stop double voting? Thirdly, the BVR system relied heavily on a steady supply of electricity for the laptops on which the system would be run. However, in many places, no attempt was made to provide backup power beyond the life of the one battery the computer started out on. In some stations, batteries had died within one hour of the opening of the polling. A majority of polling stations had no electric power and rapidly abandoned the BVR system as the laptops had died due to lack of power. In light of these BVR failures, does the IEBC believe it met its assurances to the country that it had put in place mechanisms for preventing people from voting twice? 2 Were the results from some polling stations cancelled, or were they aggregated into constituency totals, thus making over-voting became undetectable? In 2007, the Electoral Commission had a primitive results transmission system that was open to manipulation and fraud. Some results were in fact called in by telephone to some desk in Nairobi. The Kriegler Comission recommended electronic transmission to remove opportunity for manipulation and post-voting fraud. The system deployed by IEBC was put together with different components: a Virtual Private Network (VPN) developed by Safaricom for exclusive use by IEBC. To support transmission, an overwhelming majority of the polling station were to use Safaricom SIM cards. The application installed in phones to run the transmission of results was proprietary software from the International Foundation for Electoral Systems, IFES, whilst the servers would then be hosted or managed by IEBC. To ensure security, the network would have end-to-end encryption. This means that even though the VPN was within the Safaricom public network, access was limited to only those with passwords and, even then, only for very limited purposes. Once the voting took place, the presiding officer could log on and communicate directly with the IEBC server in Nairobi. This means that even if presiding officers were simultaneously logged onto the system, they could not communicate with each other. The network offered no opportunity for conspiracy and, moreover, once the results were sent after confirmation by party agents at the polling station, they could not be re-called. The servers were owned and controlled by IEBC and Safaricom’s responsibilities extended to the security of the VPN and to the reliability of the 17,900 phones that they supplied to the IEBC. There were still another 11,000 provided by the IEBC itself with the balance coming from Airtel. Long before the servers supposedly crashed on Monday night, the problems of the Results Transmission System had become clear. Many of the mobile phones to be used to transmit were not configured in advance. And even when they were configured, they were not tested in advance. Problems of system integrity directly fed into technical problems with the server. The server intended to receive the results data was not configured correctly and, if we believe the IEBC, eventually ran out of space. So the question here is, were the servers all configured and tested in advance? Even more critical, was there redundancy in the system? One of the most striking admissions was the statement by the IEBC that the large number of rejected voters initially announced arose from the fact that the system was multiplying rejected results by eight. Once the system crashed, the IEBC then summoned the constituency level returning officers with the tabulated polling station totals in Form 36 to Nairobi. It was on the basis of these totals that final results were announced. Can the IEBC then tell us how, without the source documents — Form 34 — it was able to verify the veracity of the results? As we have seen from other BVR systems in Africa, once the electronics fail, the lack of a manual fallback leads to all manner of problems. So what happened in Kenya this time? Results at the polling station are supposed to be recorded on Forms 34 and 35. However, parties had expected that the polling station results would already have been transmitted to IEBC’s central servers, so one must wonder how attention was placed on scrutinising the tabulation at the constituency level. These forms were eventually sent to the constituency level centres after system failure, and contents from them went into Form 36. Form 36 aggregates data from polling stations into constituency level data. Once aggregated, it is very difficult to verify or disprove allegations that polling stations had reported more than 100 per cent voter turnout that should have led to cancellation of results. How then does IEBC expect to help Kenyans who have questions to establish the accuracy of turn-outs? Can the IEBC confirm whether these results are correct? Form 35 from Siana Boarding Primary School in Narok West reported that a total of 682 voters had cast ballots. However, the station has only 625 registered voters. In Starehe Constituency, there were three polling stations that had more voters casting their ballots than the registered voters. Were the results from these polling stations cancelled, or were they aggregated into the constituency totals, thus making over-voting became undetectable? Political parties have claimed that there are disparities between the parliamentary elections and the national voter turnout for the presidential election. No evidence has been offered to prove this, but if this is true can the IEBC confirm or deny whether such disparity exists? Even though in presidential systems the votes for the president are often higher than those of other elected officials in the same election, in Kenya this should not be, principally because of the reforms arising from the crisis in 2007. When Justice Kriegler reviewed the systemic failures that led to the crisis in 2008, he was told that the suspiciously high variations between presidential and parliamentary votes was evidence of rigging. Under the old voting system, ballots were handed out to voters one after the other, the voter getting the parliamentary ballot only after they had received and cast their presidential ballot. That arrangement allowed a voter to cast the presidential ballot and leave without voting for the parliamentary candidate. This means that even though the voter is still free to cast a vote in the presidential election only, the other five ballots have already been issued. All factors pointed to the fact that the difference between the six elections should have been minimal. Ballot reconciliation requires that IEBC accounts for all ballots: a ballot is either valid or rejected. If Kenyans were voting mainly for the president, there should be almost two million unmarked, that is, spoilt ballots. Votes are either valid or spoilt, spoilt because wrongly marked or not marked at all. The Kenyan people deserve clarification about these anomalies. 4 Why was there a consistent gap between results for the top two candidates for some time? Watching the IEBC results from Friday afternoon, it was soon obvious that there was a pattern both to the reporting as well as to the results themselves. Just how patterned these results were became evident when analysts plotted the IEBC results of the top two candidates on a graph. One graph was generated by a Nairobi civil society group of Uhuru Kenyatta’s and Raila Odinga’s results from constituency number 234 at 2.46pm on Friday up to constituency 291 at 2.32am. The results were oddly, virtually parallel lines. Why is this strange? Constituencies have unequal number of votes and they report randomly. Normally fluctuations would be expected in the gap between the candidates, not a patterned steady gap across results. It could be that in effect the IEBC was processing and queuing the results in order to report them in a systematic way. But even that would not explain why results from widely differing constituencies should increase at an almost rigid interval. How did this unusual curve emerge? Why did results of the two candidates increase by a consistent margin for a period of time? Using screen shots of IEBC results board at Bomas, the various numbers reported by IEBC have been tested to see whether they were internally consistent. Let us explain. There were five critical numbers that were shown on the IEBC results board: the total votes cast; the number of rejected votes; the number of valid votes and the sum of individual candidates votes. (a) If we subtract the rejected votes from total votes cast we should get the valid votes. (b) Likewise the rejected votes plus valid votes should give us the total votes cast. (c) And if we add rejected votes to the sum of votes cast for all candidates, we should also get total votes cast. (d) Finally, if you remove the sum of individual candidates votes from the total votes cast, you should get the total rejected votes. So analysts did that and promptly discovered that the results did not tally. Over time, the differences between reported numbers and calculated numbers ranged from two to 7,416. Was this just a case of poor number work? Why did the IEBC not use just a simple spreadsheet to confirm that their numbers did actually add up? 6 Why was the Voter Register never uploaded on the IEBC website? One of the arguments for a Biometric Voter Register was that the manual register was too easily abused. Kenya went into elections 2013 without an official register of voters. The Elections Act requires the IEBC to compile and maintain a register of voters. The Act also requires that not later than two months before holding of general elections, the registration of voters shall cease. Voter registration ended in December and a provisional register of voters was published on December 18, 2012. On Januar17th January 2013, the IEBC gave the political parties soft copies of the provisional register to enable them conduct their primaries. One week before the elections, IEBC published a notice in the local newspapers to the effect that a cleaned out version of the register was available on its website. However, an inspection of the site showed that the register had not been uploaded. The country went into elections without the register ever being uploaded. Why was this the case? This situation raises a number of other questions, among them: since there was no authoritative version of the register, what was used to conduct the elections? Was it one of the interim versions or the (unpublished) final register? You should have given the contract to Symphony, see what happens when you don’t?